Thinking about volunteering in Guatemala? 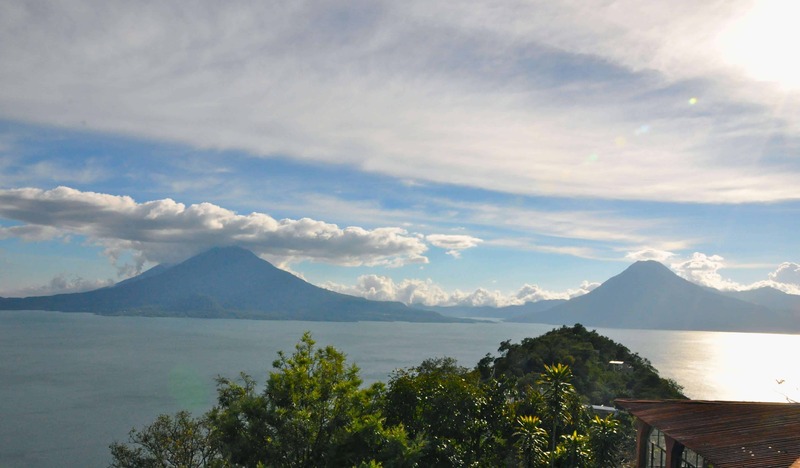 Read about my experience as a volunteer in Panajachel, Guatemala. Most people know me as a travel writer, someone who spends her time flitting off to warm climes lounging poolside at luxury resorts. But, since I left the corporate world more than a decade ago, I’ve also worked for non-profit organizations in countries from Bolivia to Russia. It was my way of giving back to the world, a way to contribute something. However, that wasn’t my plan when I arrived in Guatemala last month. I intended to focus on new corporate clients and my culinary travel memoir with a few jaunts to swanky destinations in between. 2014 was going to be a year much like 2013. 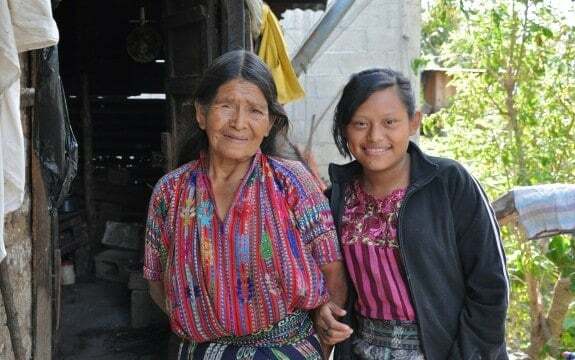 But after I met Claudia and her grandmother in the small Maya village of San Jorge la Laguna, Guatemala, all that changed. It all began when Mayan Families, a non-profit organization based in Panajachel, Guatemala, invited me to join them for lunch at their Elderly Care program. 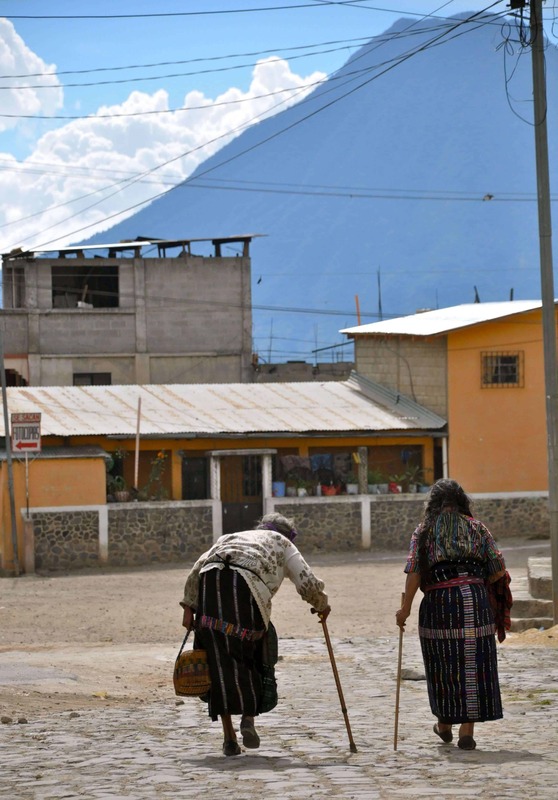 The project, which provides elderly Kachikel Maya men and women with a hot meal and medical support, is located in the village of San Jorge la Laguna on the shores of Lake Atitlan. I’ve rarely seen a town blessed with such a beautiful setting. With a necklace of tall volcanos and sparkling shoreline, it’s a mix of brilliant blues, deep greens and creamy stucco buildings. If you didn’t step beyond the church steps, you might think it would be a perfect spot to retire. But as I would soon discover, the reality is very different. Lunchtime with the women, each dressed in their brilliantly-hued woven clothing, was quietly touching. Most lived alone and had walked for an hour or more to get to the centre. Some arrived with grandchildren in tow and shared their meal–stewed chicken, five tortillas, rice and an orange–or packed half away for supper time. They chatted, laughed quietly with their friends and, with a gracious “gracias” headed back outside for the long trek home. 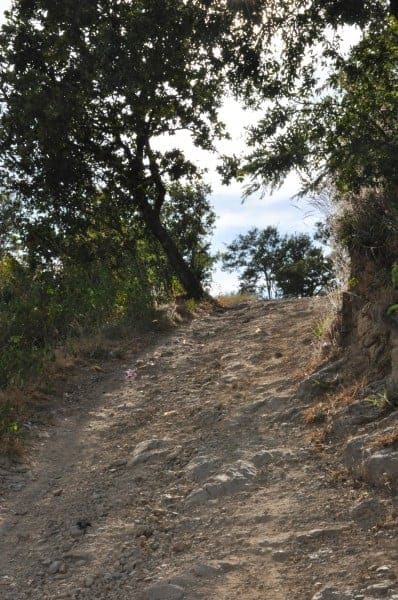 I couldn’t really object that the hill was too steep, the sun too hot or that I wasn’t prepared for hiking. After all, the other women were decades older than me and were making the trip daily, oftentimes barefoot. So, before long I was huffing and puffing my way up the mountainside. “How much further? I asked, shivering as a cool breeze whipped around the mountainside. “Almost there,” said Amy, as we scrambled along a path filled with rocks and thick vegetation. Finally, we arrived at our objective, the home of Claudia and her grandmother. If the path hadn’t ended, I would have missed it. It wasn’t much more than a ledge on a cliff. We took turns standing on the ledge and stepping inside the two rooms–one with a bed and the other a stove. No electricity or running water meant they had to haul drinking, washing and cooking water on their backs, up the mountain I’d just climbed. Every day. But their living situation is much better than it used to be. After her mother died, Claudia had to work to earn money just to eat. Now, thanks to Mayan Families, at age 16 Claudia attends school. “ I’m in grade 3 now,” she said proudly. As I looked around, I worried. Claudia’s grandma was 78 years old – how long could she continue to haul water up a cliff? Rather than seem worried themselves. the pair were hopeful. Soon they’d be receiving a Mayan Families Christmas basket of tamales. Or would they? I wondered. I’d heard donations were down by 40% this year. I was tempted to buy a basket just to make sure it happened. But I decided it would be more helpful to the organization, to others in need and to Claudia and her grandmother if I committed to raising long-term, secure funding. In Guatemala, 69.5% of children under 5 years old within Maya communities are malnourished – the worst in Latin America and the Caribbean. The more I thought about what I’d accomplished in 2013 the more I realized my year had been more about luxury than sharing. It was time to try to tip the scale at least a little bit the other way. 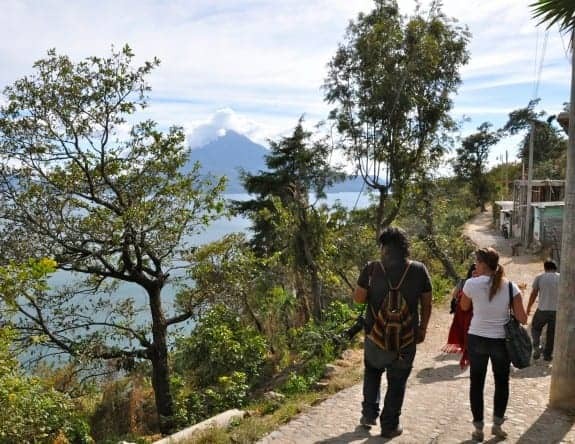 Get involved in a community project such as assisting marginalized groups, teaching English or saving sea turtles through conservation by volunteering in Guatemala. Help spread the word on Facebook, Twitter and through friends and family. Thank you for joining me on this volunteering in Guatemala project and wish me luck! 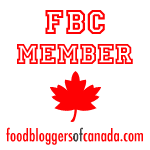 Sign up for my blog posts and you’ll be the first to hear how its going! 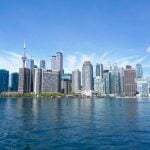 Dividing her time between Toronto, Mexico and Guatemala (or the nearest tropical beach), Michele Peterson is an award-winning writer, blogger, editor and publisher who specializes in travel, cuisine and luxury lifestyles. What an amazing thing you’re doing. I love Guatemala and its people. I actually went to high school in Guatemala City an haven’t been back in years. I need to go. Hi, Michele. Just want to say that I’m so happy to see a fellow traveler doing what you’re doing. Your story really got my attention and the video brought me to tears. 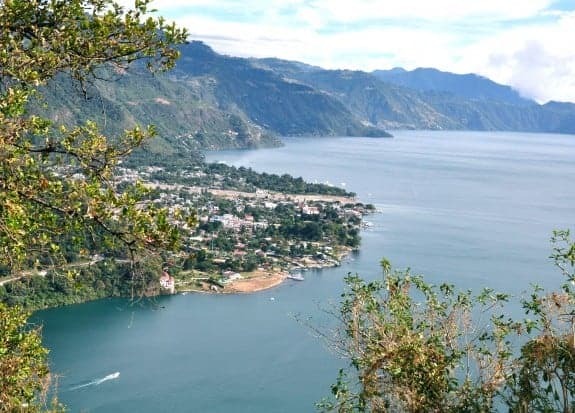 I’ve been to the lake and stayed in Panajachel. I’ve seen the situation there; many are suffering. I think it’s important for travelers to volunteer and make a difference in the world. If we don’t, who will? I’m definitely going to share this on Twitter and my FB page in order to spread the word. PS: I’m going to be starting a fundraising project next year to help free slaves in a village or two (they’re bought by the organization and freed, then retrained to do a regular job or have a business). Would love to chat with you sometime; might need a little advice. Thanks for your help spreading the word, Lisa. If you’ve been to Panajachel you’ve experienced the dire situation firsthand. Yes, let’s keep in touch about your project..it sounds really worthwhile! Wow Michele. It sounds like you are in exactly the right place at exactly the right time. Being the grant-writing-woman-extraordinaire, I have no doubt you will take Mayan Families to a better place. Looking forward to more posts about the people and the ongoing programs. I stumbled upon your website but couldn’t stop reading this – what a beautiful story (the spirit of giving and helping others in need) – love the photographs as well. Sounds like a wonderful cause and a wonderful way to give back! How long will you be staying? What a wonderful thing to do! Light a little candle in the darkness of poverty. I was very moved to read this story, I had no idea the situation was that dire, I will be contributing to a basket of tamales and I wish you great success with the foundations. Thanks so much for the donation Heather! You can be sure it will go a long way and will be so appreciated. Shocking statistics, Michele, and very worthy cause! Count me in to help. What a wonderful change of events for you Michele, and the organization as well. It’s hard to believe we are neighboring countries yet stark contrast. 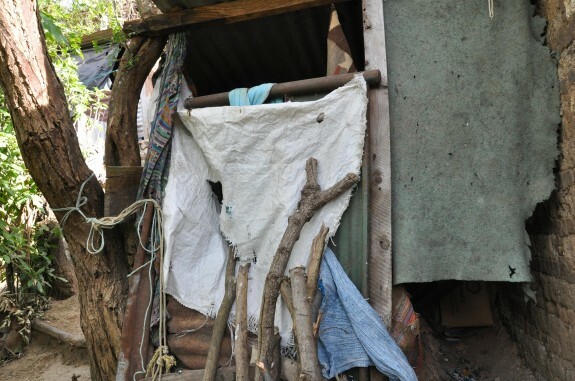 Belize has Mayan villages but the statistics show they dont have the same poverty levels. The photos look lovely and Lake Atitlan is on the map to visit in late 2014 so maybe our paths will cross in person. Can I ask, is it cold there at night during this time of year, like cold cold? Hi Eden…thanks so much for stopping by. Depending on the altitude of where you stay, it can drop to 8C or 45 F at night near Solola or Huehuetenango ( I actually met children with frostbite on their faces near the village of Concepcion ) but here in Panajachel it doesn’t get that cold. I’ll be doing a new post soon on the lovely apartment I rented so check back for an inside look at some hotels and long-stay options. Let’s keep in touch! Great story Michelle and I’m happy to say I made a donation through PayPal. Thanks so much for your donation, Sherel! You wouldn’t believe how much help it will provide for these families here in Guatemala! Michele, I’ve shared this every way I can and am about to whip out my credit card. I’ve lived in Mexico and visited Guatemala. I have a soft spot for the descendants of the Maya. This has also reminded me of the great need here in my home city of Philadelphia. Sometimes, money seems like a shallow way to contribute to try to ameliorate people’s burdens, but I also know from working at non-profits that a little of the green stuff can go a long way. Thanks for the work you’re doing and for the reminder. Thanks so much for helping spread the message and for your donation, Suzanne. Since you’ve visited Guatemala in the past, you understand how easy it is to fall in love with the country and its people. Mil gracias! I love your sincerity. This is so you. I think you’re going to have the best holiday ever. What an awesome thing you are doing Michelle. I’m hoping to get u there for at least one weekend while I’m in Antigua, perhaps I’ll be lucky enough to meet you and learn a bit more of what you are doing. 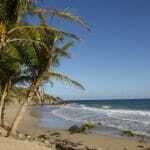 Yes, please keep in touch Helene…it would be great to meet up if you come to Panajachel! Remarkable work, Michele. We’ll be staying in Panajachel until after the holidays. Let us know if you would like to meet up and share some stories. Good luck and happy holidays! Great…I’ll email you and see if we can meet up! What a touching tale of Grandma and grand-daughter alone supporting each other.I hope Claudia is able to keep going to school and that Grandma’s life will be a little easier in the future. We will definitely help out as much as we can. Great article! Are you still in Guatemala? My fiancé and I are heading there in january and would love to volunteer. Is there any help we can do in about two weeks time? Hi Rayna..thanks for your comment! No I’m not in Guatemala right now but you could check with Mayan Families to see if they might need some help. Or, try one of the Language Schools as they work with several not-for-profit organizations that are always short of resources. Good luck and safe travels. Enjoy your time in Guatemala. Dividing her time between Canada, Mexico and Guatemala, Michele Peterson's work has appeared in Lonely Planet’s cookbook Mexico: From the Source , National Geographic Traveler, Fodor's, WestJet and more than 100 other publications. 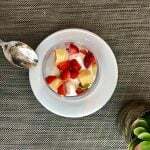 Here at A Taste for Travel she travels the world scouting out the most fascinating food experiences to help readers plan their own vacations or create recipes at home. Her writing has been recognized with awards by the Caribbean Tourism Organization (CTO), the North American Travel Journalists Association (NATJA) and Destination Ontario.